The How to Geek folks recently published a nice grouping of The Best Sites for Background or Ambient Noise. If you want to create your own combination of background noices, you might find it fun to try out Noisli… (tip – The picture of the trees gives you birdsong. 🙂 I personally love birdsong) I would like to add to this list, that many of the Dan Gibson’s Solitudes albums are now on YouTube in their complete form – for example Pachelbel in the Garden or if you like Indian flute music (without chanting), try pieces by Paul Horn from his Inside Canyon De Chelly album which is also on YouTube. There are certain tasks I perform where this kind of background music is very helpful in relaxing my mind enough to focus productively on the task at hand. 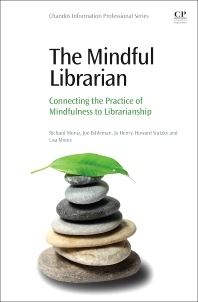 Those of you who had your interest whetted by last month’s book review post on The Mindful Librarian might be looking for other book recommendations on the topic of mindfulness. Editor-in-chief of Mindful magazine, Barry Boyce, recently named his Best Mindfulness Books This Year. Here’s a nice little collection of tools to help you create jazzier graphics for your presentations if you have data that you would like to represent in the form of a time line. Richard Byrne of the website Free Technology for Teachers posted recently Five Good Tools for Creating Timelines. He even discusses a tool for multimedia timelines! Have you ever wished you could jazz up your instruction sections with one of those “choose your own adventure” books that many of us so enjoyed growing up? Well Richard Byrne also recently posted several videos on How to Use Keynote (or PowerPoint) To Create Your Own Adventure Stories. Fun technique. At this Most Blessed Time of the Year, my wish for each of my readers is a totally Joyful Christmas and a Blessed New Year. I am interrupting the normal topics of this blog to do a bit of shameless self-promotion. The Director of the Graduate Library at Kennesaw State University (Cheryl Stiles) and I (Crystal Renfro) are proud to announce the publication of Transforming Libraries to Serve Graduate Students. This book was a organic outgrowth of the burgeoning interest in graduate student services that began at the first two Transforming Libraries For Graduate Student Conferences held at Kennesaw State University in 2016 and 2018. Cheryl and I co-edited this 460+ page text (34 chapters! ), and it has been taking over a large portion of our lives for the past two years. Our Digital Commons Managing Editor, Aajay Murphy is pictured to the left, holding our beautiful book. He was the cover designer, and Cheryl and I totally fell in love with his stunning design. We are so grateful that ACRL was willing to use Aajay’s design as the final cover. As an aside, if anyone has ideas for a book in the field of academic library science, Cheryl and I highly recommend the folks at ACRL. They were totally fantastic to work with.